I believe that I have the best job – being a marriage celebrant means that I get to share one of life’s most unifying experiences with you ... better still, I can help you create it! I became a marriage celebrant because I have always been passionate about words and how they can move people. Your wedding ceremony is all about the personal expression of your relationship. My aim is to create a ceremony which is authentic to you and which also reaches and touches your guests. I am Scottish, born and bred, have the accent to prove it and the good fortune to be living in a wedding paradise: the Northern Beaches of Sydney. My background is in IT project management and now that my children are grown-up, I work as a librarian and marriage celebrant. inspiring others to find their passion! Proud supporter of Marriage Equality! "I am so glad that I chose Mary to marry us! As I live in the UK and was getting wed in Australia, it was difficult to organise everything, but right from the start she was amazing and answered all my questions. The added bonus was she is also from Scotland so I knew immediately I'd made the right choice. Mary was so kind and gentle, putting us at ease on our wedding day and making our ceremony so special. Thank you so much Mary, you are such a beautiful person!!" "From the very first phone call, and meeting you in person we were in your hands. At no time did we question the information your provided and believed that you helped us create a wonderful ceremony for both us and our guests to share. You delivered our ceremony in a warm and non-intrusive way. Our guests enjoyed and commented on how moved they were. You delivered a ceremony that was everything and more than we had hoped for. You helped make our day not only one that we will always remember, but one our guests will never forget "
"We just wanted to say a massive thank you to you for making our day so special. What a wonderful ceremony, you are the best!! Many, many thanks"
"Daniel and I could not have been more pleased that we chose Mary to be our celebrant. Although it seemed like a random decision made through searching online, in the end it really seemed like Mary suited us to a T and we can't imagine the ceremony being conducted by anyone else. We recommend Mary's services very, very highly. She ensured that everyone knew the roles they were to perform and put everyone at ease. Her demeanour is the perfect mix of casual and familiar friendliness, whilst still commanding an appropriate air of authority and seriousness"
I believe in charging a reasonable but competitive fee for my services which is dependent on your individual circumstances. As a guide, my packages range from a basic package of $500 to a super package which is $750. But please talk to me about your requirements – we don’t all fit neatly into boxes! A Personalised ceremony can be custom designed and include something of ‘your story’. Examples of popular ceremony rituals are hand fasting, unity sand ceremony, warming of the rings, dove or butterfly release. 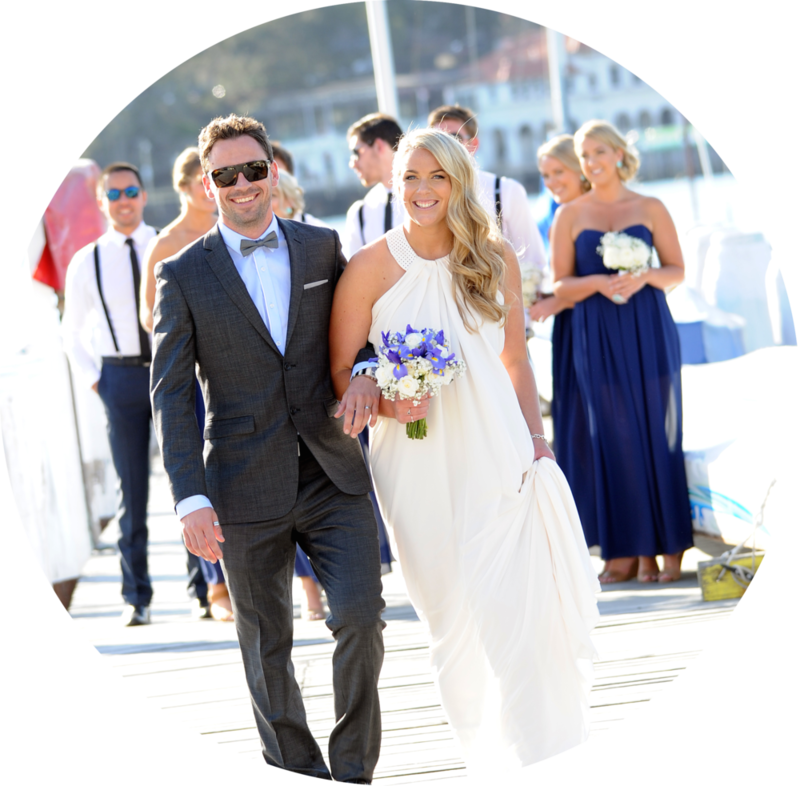 If you are interested in eloping, I am the celebrant of choice for a stunning elopement wedding company called Elope to Sydney. Check out their affordable packages at www.elopetosydney.com.au. Email or call me for a chat – I am happy to meet you before you commit – no problem. Get in touch, I would love to help you and promise to respond within 24 hours!